Posted by Jon in NECA, Review with 4 comments. 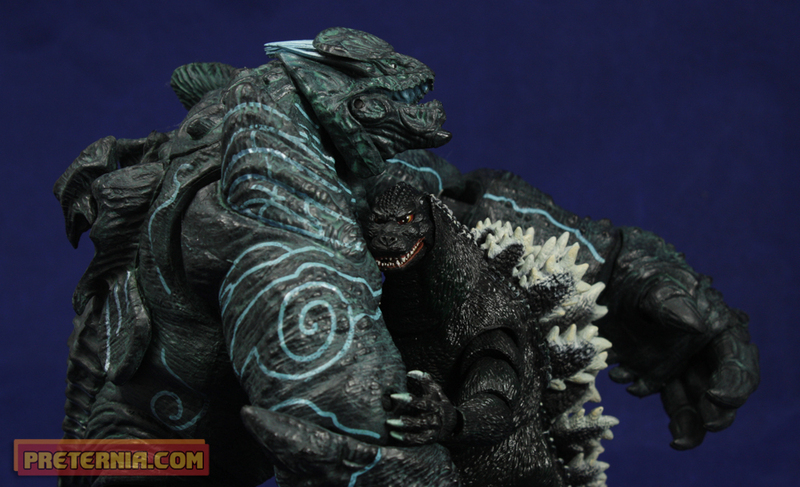 Another Godzilla from NECA? Already? Apologies if this was common knowledge, but until I ran into this 1994 version of Godzilla at a Gamestop I had no clue he was even coming out! Being a prestigious toy blogger I’m usually on top of these things. This was one I completely missed and am quite happy to have done so. It’s so rare these days to walk into a store and see something genuinely new to me that I actually wanted. 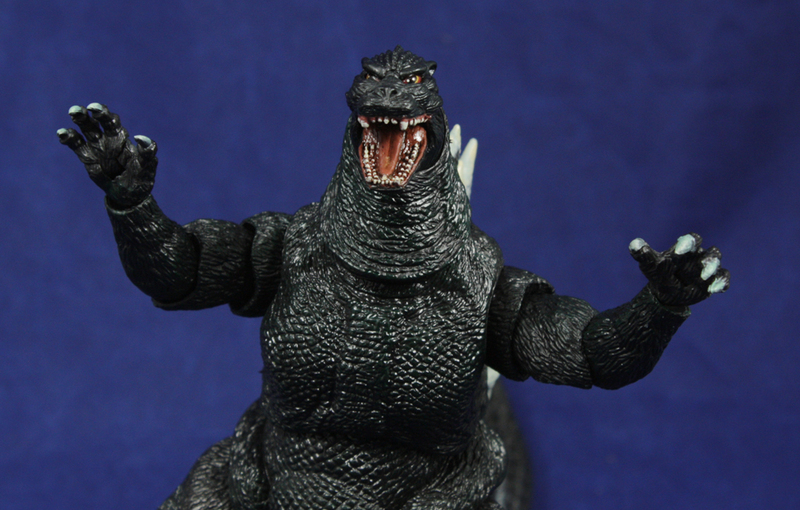 So after the 2014 movie releases NECA has unleashed their first “classic” Godzilla. This one is based on the version in the 1994 movie “Godzilla vs SpaceGodzilla.” A movie that features Godzilla, SpaceGodzilla, Little Godzilla, and Moguera … I think I got them all? I’m sure people are already asking for bad guys to fight him, but as of now the line is strictly about the big man … er … lizard! 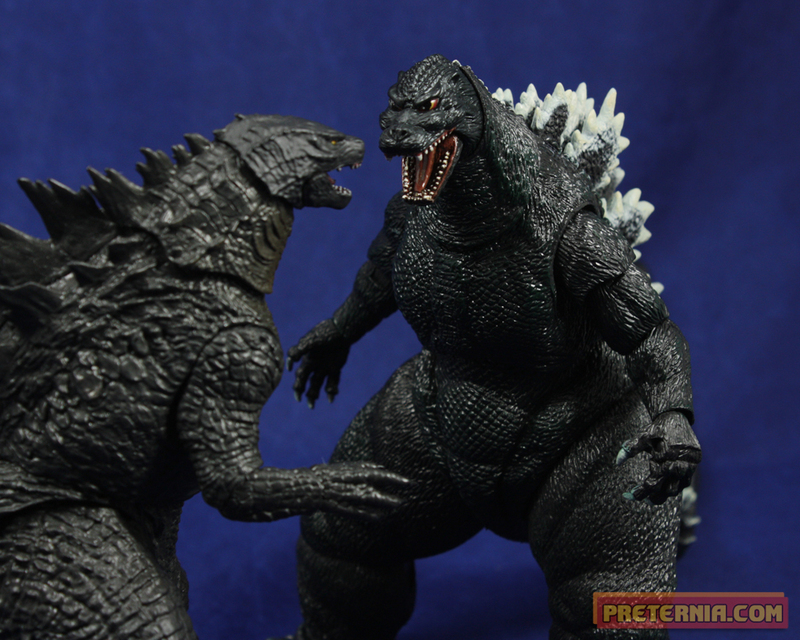 While I enjoyed my 2014 Godzilla from NECA the look certainly isn’t one of my favorites. I’m glad they tackled one from the 90’s era because those were the ones I grew up and am most comfortable with. The head doesn’t look overly derpy like the 1985 version or too tiny like the 2014 one. It’s just right for Godzilla. Comparing this to the 2014 version I also prefer the 90’s proportions because he isn’t nearly as bottom heavy as the new one. He has a very similar articulation scheme to the 2014 version: ankles, knees, hips, ab, shoulders, biceps, elbows, wrists, fingers, base of neck, base of head, jaw, and then a segmented tail that turns bendy. The bendy part of the tail comes detached in the clamshell and can just be plugged in after opening. I count about 24 points of articulation on him which is pretty impressive. One of the things I really like about the articulation on this Godzilla is that if you put too much pressure on a joint it will just pop out without breaking the peg. Parts that pop out can just be put right back together again, so instead of having a broken toy I’ve learned the limits of how much I can pose him. One of the advantages of popable joints is, of course, HEAD SWAPS! This 1994 Godzilla has a good number of paint applications. His eyes, mouth, fingernails, toenails, and back spikes all have very sharp applications. He also has a bit of a greenish wash over his body which can be seen at certain light angles. An important part of the likeness for this version of Godzilla is the eyes. They need to be visible and clear and NECA nailed those important details. I mentioned this in my Godzilla 2014 review and the same rings true here that this figure is a great value. A high quality, fully articulated figure with an original sculpt for $18.99 is pretty rare. 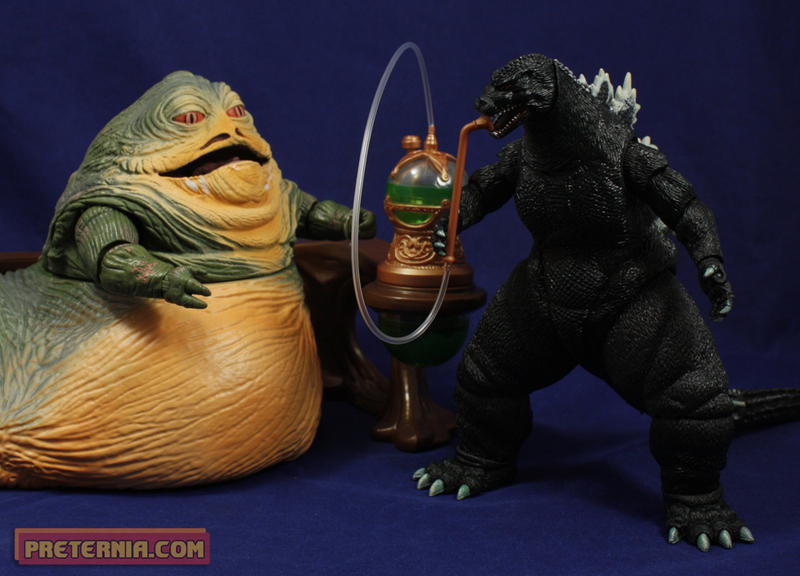 This Godzilla line is a tremendous value for what you get. I say this as a person who also collects S.H. MonsterArts figures as well. I hate to use the word “budget” because it can have a negative connotation, but the NECA figures are like budget MonsterArts (SHMA) in a completely good way. They do a great job of capturing but simplifying the sculpt, detail, and articulation of a SHMA release. Another nice thing is that because they chose the six-inch size it is very easy to fit these in with some of the SHMA bad guys. 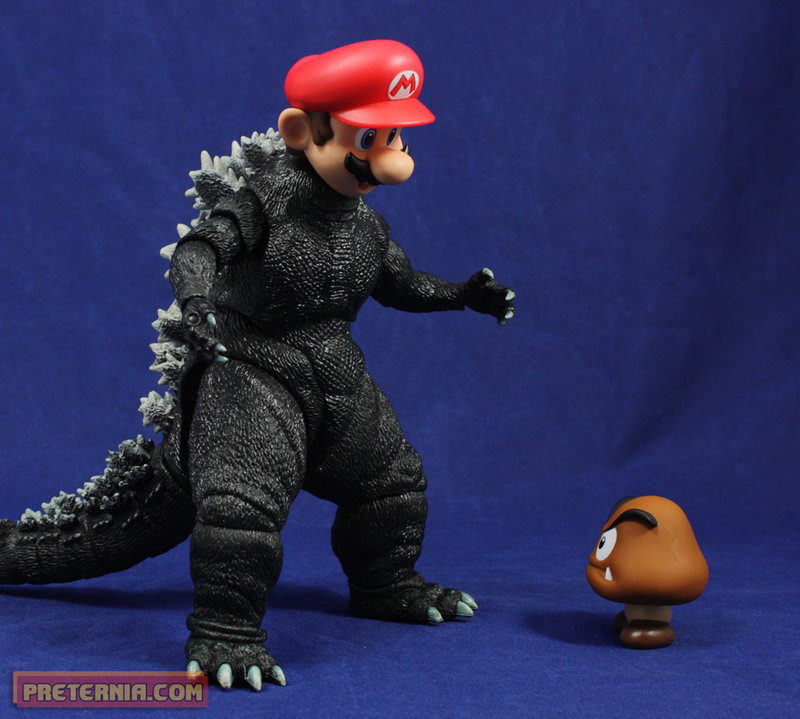 I was impressed with the NECA’s first Godzilla release. I’m even more impressed with this one. I think this is a sleeper line for NECA that people are going to catch onto in a big way. As mentioned earlier I found this guy at Gamestop, but you can also buy him direct from NECA through their Amazon store. I just grabbed this Godzilla and he’s fantastic. I also have the 2014 figure, which is great, but this one easily tops it. I think if the new design had more functional arms, like the type of arms you might need if it’s a guy in a suit, then I’d like it a lot more. Agreed, the 2014 lacks that “guy in a suit” feel of the more classics versions. Minus of course the 1998 one … CGI Godzillas in a way don’t feel right.